If you are unable to attend a registration clinic then you can join the Anthony Nolan Bone Marrow Register by following a simple four stage postal process. You must be aged 18 - 40 and in good health. Full medical criteria can be found on the Anthony Nolan website. 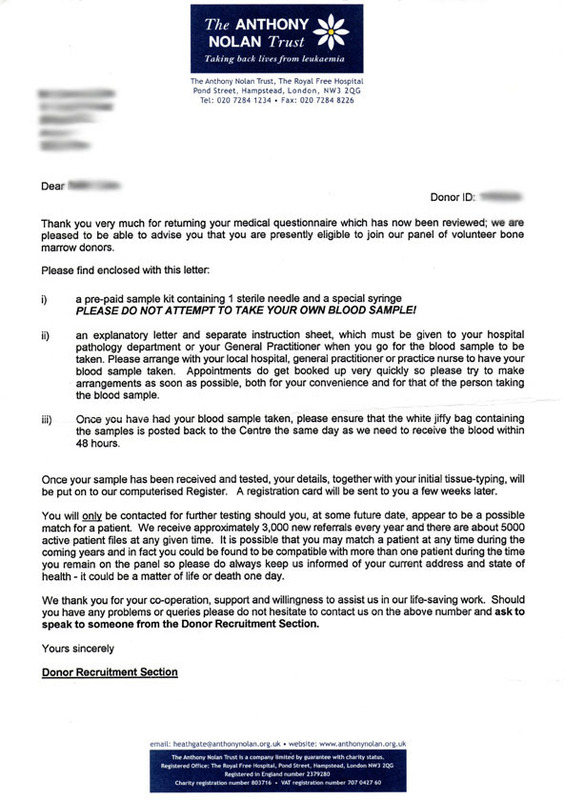 Application form and medical questionnaire. Download the above leaflets: "Commit to a Life Saving Procedure Now" and "Completing this Form could Save a Life". by clicking on the thumbnail images. These are both .pdf files and need Adobe Acrobat or Reader to view them. Click icon if you need to download the latest version of Adobe Reader. On receipt of this form, they will check it to ensure that you qualify medically to proceed and then will contact you again for Stage 2 of the process. You will be sent a medical blood testing kit which you can take to your local GP, health clinic or hospital where a small sample of your blood will be taken - about 4ml. 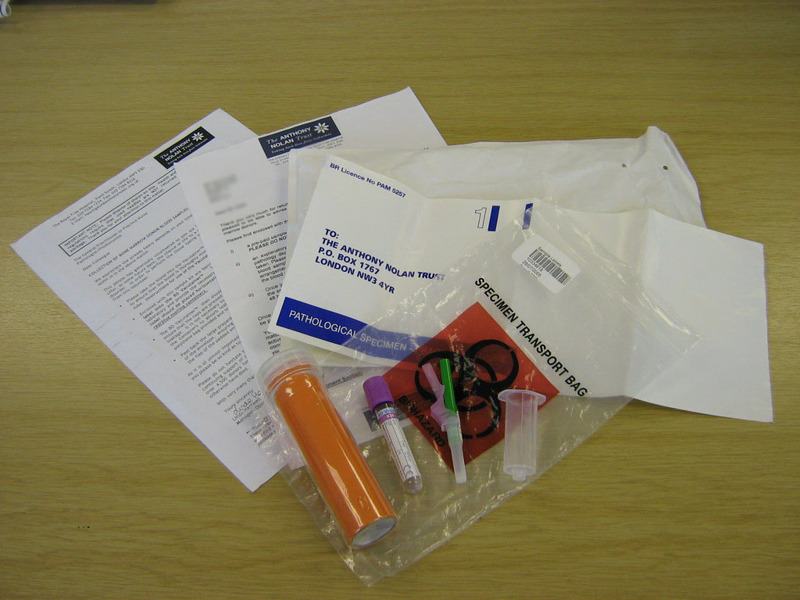 This kit contains all that is needed to enable a blood sample to be taken and returned securely by post at no cost to yourself. On no account attempt to take the blood sample yourself. The downloads below are examples of what you will receive in the medical testing kit. Click on each thumbnail image to enlarge. 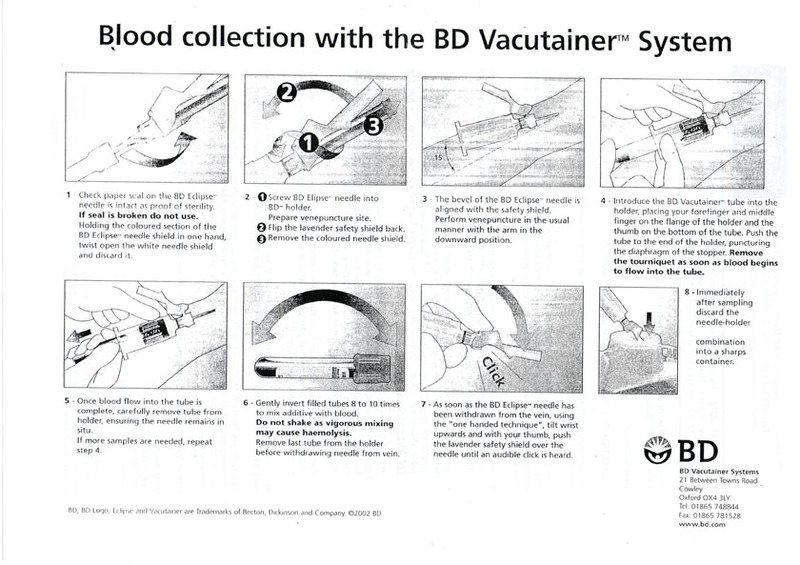 Medical testing kit Letter with kit Letter of instruction Blood collection info. 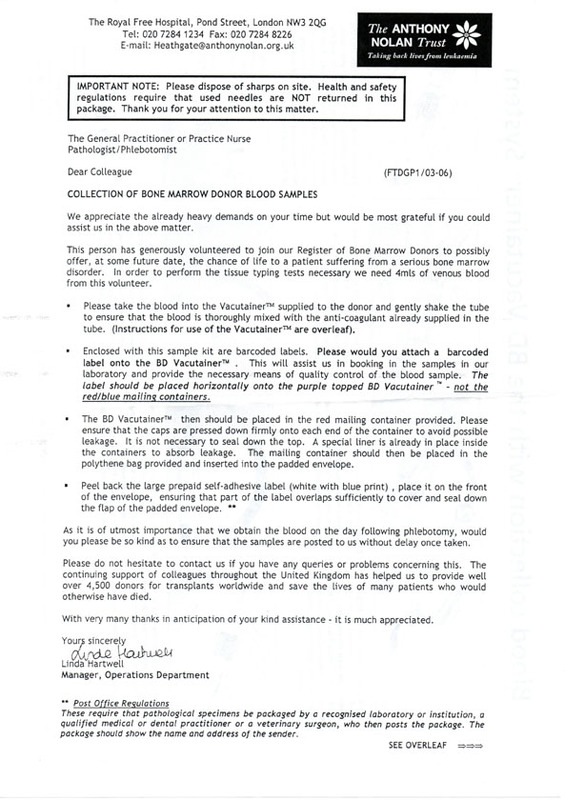 The blood sample can be posted to the Anthony Nolan laboratories, using the reply-paid packaging provided. The sample will then be tested to establish your tissue type and the results are stored on the Anthony Nolan database, which is confidential. As a new member of the Register you will receive a registration card and postal confirmation of your status as a potential life saver a few weeks after having provided your sample. You may be found to be a match for a patient almost immediately; other people wait many years before being asked to donate - and some never are. Every single person on the Register is still making a wonderful commitment – to make themselves available to support another person in need of a life saving transplant.